This article is from the Tea & Coffee Trade Journal (Mar '2006). This publication contains many interesting articles on both tea and coffee. It is a great place to learn about tea and the growing regions. An interview with Yukihiko Hara, PH.D.
Three years ago, I had the pleasure of meeting Dr. Yukihiko Hara. In my travels to tea origins, I have met numerous people who possess a strong passion and knowledge of tea, and although Dr. Hara is no exception, his expertise in the chemistry and pharmacology of green tea and its health benefits are exceptional. Most of the tea industry is still trying to truly understand green tea and its benefits. Many questions with varied answers continue to excite the industry - but can mislead those who are looking to quickly benefit from green tea’s popularity with the end consumer. As a tea buyer, my primary goal for The Coffee Bean and Tea Leaf is to purchase the best teas available and create blends for the more than 360 retail stores that carry our teas. In my research, I found myself wanting to know more about why tea -- especially green tea -- was considered to have the most health benefits. I read everything I could, including Dr. Hara’s book, Green Tea - Health Benefits and Applications. Armed with the understanding I gained from reading his book, the chemistry and pharmacology of tea has now become a true passion of mine. I hope to spread this knowledge by sharing the following question and answer dialogue with Tea and Coffee Trade Journal’s readers. 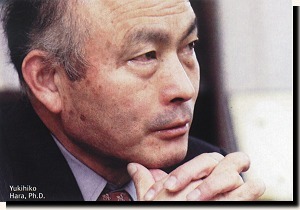 Yukihiko Hara was born in Japan in 1943. He graduated from Tokyo University’s Department of Agriculture in 1967, and later that year joined Mitsui Norin Company, Ltd., where he was director of the firm’s Food Research Laboratories beginning in 1983. In 1990, Hara earned his Ph.D. from the University of Tokyo for his study on the “Physiological Activities of Tea Polyphenols.” In 1996, he was awarded the Director of the Ministry of Science and Technology’s Merit Award for his research and development efforts in tea. Four years later, in 2000, Dr. Hara joined Tokyo Food Techno Co., Ltd. as a vice president, serving at the same time as the senior advisor to Mitsui Norin’s Food Research Labs. In 2003, he rejoined Mitsui Norin as an executive managing officer, in charge of the Polyphenon Division. Dr. Hara has authored and co-authored many papers and book chapters. In 2001, Marcel Dekker Inc., in New York, published his book, Green Tea - Health Benefits and Applications. Each day, we hear that green tea is a healthy beverage. What exactly is in green tea that makes it so healthy? Primarily, tea catechins or - more broadly - tea polyphenols are proven to be the elements that contribute to human health. The terms “catechin” and “polyphenol” have become more popular, entering the vernacular of tea buyers and consumers alike. Please explain each one and the role it plays in green tea. Tea catechins are responsible for the pungency/bitterness of tea. 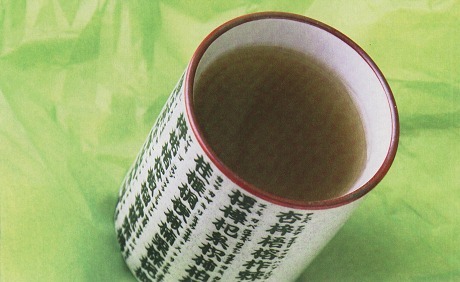 Teas with a higher level of catechins, like green tea, can be more pungent and have bitter qualities. In the process of manufacturing black tea, catechins are enzymatically oxidized to form dimmers, trimers, oligomers or polymers (most of the chemistries are uncharacterized) of catechins, which represent the reddish color of black tea. In order to describe those poorly characterized catechins polymers, the phrase “tea polyphenols” is employed. Catechins are also in the realm of tea polyphenols, since those compounds are made of poly (plural), phenols (OH groups attached to C-6 rings). Tea catechins are actually composed of four kinds of catechins. Among them, epigallo-catechin-gallate (EGCg) is dominant, representing more than 50% of all catechins. Tea catechins constitute 15-25% of dried green tea, which means they are the major components of soluble solids in tea. Only about 35% of solids in tea dissolve into cups by ordinary hot water brewing. The most basic and potent action of those tea catechins (tea polyphenols) is anti-oxidative action. EGCg, for example, shows almost 20 times the anti-oxidative potency of vitamin E, and almost 10 times that of vitamin C. Another feature of tea catechins (tea polyphenols) is the very potent anti-microbial actions. The anti-flu virus actions of those tea catechins are just phenomenal. In your book, Green Tea - Health Benefits and Applications, you discuss prevention of cancer by tea polyphenols. What role do tea polyphenols play in preventing cancer? With the very potent anti-oxidative and binding action of EGCg to proteins (which explains the pungent taste), EGCg will fight against oxidative stress and will modulate carcinogenic compounds, which is from where certain cancerous conditions develop. Please explain how catechins are absorbed and metabolized in the system. After oral intake, most tea catechins undergo degradation in the intestine and then about 20-30% of those are degraded, or a few of the intact catechins, are absorbed into the body. The rest, which is the majority, seem to be excreted via feces. After absorption, tea catechins are further metabolized in the liver and circulate through the whole body, finally being excreted into urine in approximately 24 hours. Does the origin of tea directly affect its health benefits? How much of an effect does processing have? Green tea is composed of tea catechins, and therefore is most abundant in them. Black tea holds a small amount of residual catechins, but they are mostly composed of polymerized catechins. As far as the content of catechins shows, green tea is most recommended for the health effects. Polymerized catechins refuse scientific study because of their complexity, which results in poor publications. Does the length of oxidation time affect the levels of catechins and polyphenols, and if so how does it affect them? The more withered, the more enzymatic oxidation (the polymerization occurs at the same time) progress. Black tea polyphenols have their merits. The problem is that those undefined chemicals (polymerized catechins) are beyond the current science. I have heard that the consumption of green tea can help prevent tooth decay. What in green tea helps with the prevention, and how much tea should be consumed each day to experience this benefit? Tea catechins, as well as black tea polyphenols, were confirmed to prevent dental plaque formation by cariogenic bacterium. It is better to drink tea while you are eating, particularly after the meal. For further details and recommendations, please see my book. I know that you have been associated with Misui Norin Co., Ltd. for some time. One of the products your company carries is called, “Polyphenon.” What is the function of this product? “Polyphenon” is the trade name for tea catechins manufactured (extracted from green tea and purified) by Mitsui Norin Co., Ltd. Catechin content varies according to the grade of Polyphenons. The mark of Polyphenon guarantees the quality of the products. Simply put, those Polyphenons bears all the merits of tea catechins, namely anti-metabolic syndromes and anti-threatening microbials. Your book describes practical and industrial applications. Can you explain specifically what these applications are? I believe that there should only be the most effective and convenient and economical carriers for all tea catechin properties. Water has been the single carrier (vehicle) of tea catechins for thousands of years and it remains an effective one. If you seek cancer prevention, it is much better for catechins to be delivered in capsules or in tablets. Is there something in tea catechins (Polyphenons) that can help prevent skin cancer? We are trying to do anti-skin cancer trials, but it will take years to determine convincing effects of catechins for this effect in humans. White tea is growing in popularity. Some say it has the same health benefits as green tea. Can you comment on this? White tea is a tea of fine shoots alone, which is plucked and processed in China. Ordinary green tea is made of shoots and upper leaves of the tea bush. The health benefits would be similar to ordinary green tea. It is a rare and very expensive product, as far as I know. What is the future outlook for green tea and its overall contribution to good health? Green tea has a very bright future. Green tea catechins could fight against diseases related to lifestyle and age, and could fight against emerging life-threatening infectious diseases. By ingesting green tea, your good health can be guaranteed. As green tea continues to grow in popularity, we must continue to strive to ask and answer many questions. In the U.S., green tea is perceived as a healthy beverage - and consumers want to know why it is healthy. Further, along with wanting the health benefits, many people are looking for green teas that taste good. They are just getting used to the special flavors that green tea offers. Flavored teas are a way for many to explore green teas, as are beverages such as tea lattes. I would like to personally thank Dr. Hara for being available to answer my questions. I believe the future of the premium tea industry lies with the continued desire to explore the many questions that arise, as tea becomes more popular. Hopefully, there are more Dr. Haras on the horizon to continue to communicate their knowledge and passion for tea. The health claims expressed in this article reflect only the views of Dr. Hara and David DeCandia, as private individuals. International Coffee & Tea, LLC, dba The Coffee Bean and Tea Leaf and Tea & Coffee Trade Journal makes no representations to the public concerning the reputed health benefits from drinking green tea and it expresses no opinion concerning Dr. Hara’s comments in this interview.